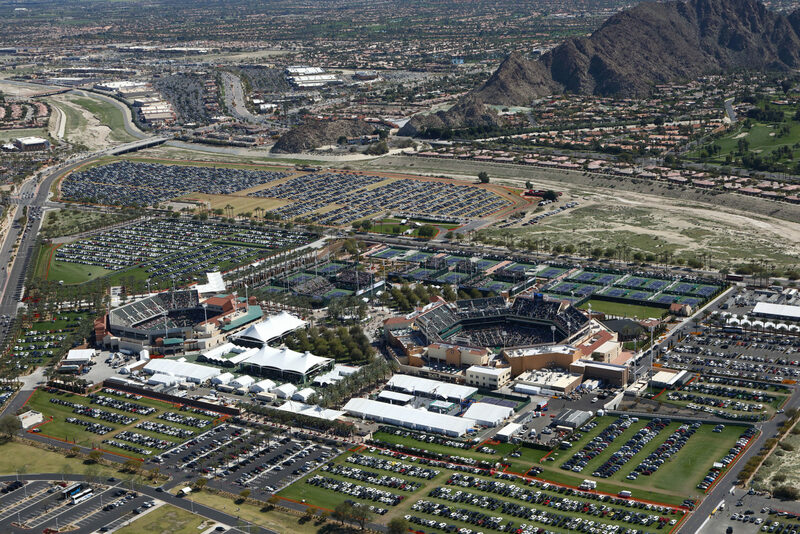 Guests who have purchased a Hotel Package can take advantage of complimentary shuttle service to Indian Wells Tennis Garden. Your hotel key will be your ticket to ride and must be shown to the shuttle driver prior to boarding. Pick-up and drop-off zone is located near the East Gate and can be accessed through gate 10. Find your shuttle route below. Shuttles are in service until an hour after the conclusion of the final match of the day, and pick-up/drop-off is at the East Gate of Indian Wells Tennis Garden. Shuttle runs every 30 minutes starting at 7:30am, from March 4 – March 17. This shuttle runs a continuous loop from Miramonte to Indian Wells Resort to Indian Wells Tennis Garden. Shuttle runs every 30 minutes starting at 7:30am, from March 4 – March 17. This shuttle runs a continuous loop from the Renaissance Hotel to the Hyatt Regency to Indian Wells Tennis Garden. Shuttle runs every 60 minutes starting at 9:30am, from March 6 – March 17. This shuttle runs a continuous loop from La Quinta Embassy Suites to La Quinta Resort to Indian Wells Tennis Garden. Shuttles run every 60 minutes starting at 9:30am, from March 6 – March 17. Best Western and Palm Desert Embassy Suites guests should also take the Holiday Inn shuttle which runs in a continuous loop from Holiday Inn Palm Desert to Indian Wells Tennis Garden. Shuttle runs every 60 minutes from March 4 – March 17. This shuttle runs a continuous loop from Homewood Suites to Residence Inn & Courtyard by Marriott to J.W. Marriott to Indian Wells Tennis Garden. Please pay special attention to the first pick up time at each property, listed below. Shuttle runs every 60 minutes starting at 9:35am, from March 4 – March 17. This shuttle runs a continuous loop from Rancho Las Palmas to Indian Wells Tennis Garden.